H0 (Null hypothesis): Variable “The pricing policy of the Bay Agro” and “Ranking based on best packing, grading & counting standards” are independent. H1 (Alternative hypothesis): Variable “The pricing policy of the Bay Agro” and “Ranking based on best packing, grading & counting standards” are dependent. H0 (Null hypothesis): Variable “Rate of mortalities at farms under normal circumstances” and “Protection level of the Bay Agro against the “Bird flu” virus” are independent. H1 (Alternative hypothesis): Variable “Rate of mortalities at farms under normal circumstances” and “Protection level of the Bay Agro against the “Bird flu” virus” are dependent. H0 (Null hypothesis): Variable “Facing any problem in transportation” and are “The cost / responsibility for delivery” independent. H1 (Alternative hypothesis): Variable “Facing any problem in transportation” and are “The cost / responsibility for delivery” dependent. 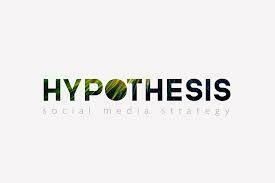 H0 (Null hypothesis): Variable “After sale service’ quality” and are “Probability of continuing business with Bay Agro” independent. H1 (Alternative hypothesis): Variable “After sale service’ quality” and are “Probability of continuing business with Bay Agro” dependent. H0 (Null hypothesis): Model is not adequate. H1 (Alternative hypothesis): Model is adequate.